Just as children gain literacy in their native language by reading, learners of a foreign language must read large amounts of level-appropriate books and material to attain fluency in their target language. 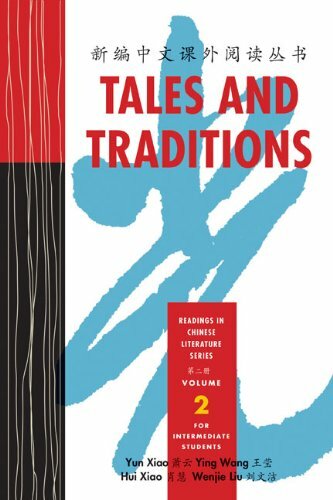 Tales and Traditions was specially created to help learners of Chinese achieve that goal, by collecting the most well-known works in the Chinese literary canon in a series of convenient supplementary readers. Perfect for pleasure reading outside of class, or class instruction, Tales and Traditions exposes students to a wealth of information essential for the development of cultural fluency in Chinese. This second volume for intermediate learners contains fables, literary quotations, stories of romance, myths, fantasies, and tales of traditional Chinese festivals. This series of readings will be especially welcomed as the AP Chinese Language and Culture exam requires knowledge of China s literary, cultural, and historical traditions.